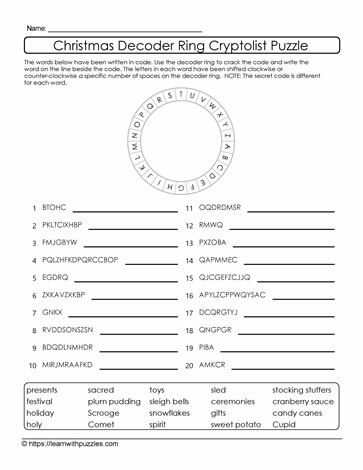 Printable Xmas puzzle. Suitable for students in late elementary grade classrooms. Homeschooled students will also enjoy the challenge. Engage students' problem solving and vocabulary building skills with free puzzles to print.